Get career-ready on this flexible course that you can tailor to suit your interests. Areas of study include performance, nutrition and health and fitness. "I own my own sports nutrition business, Nutrition X. I work with clients across the UK, including Yorkshire County Cricket Club, Bolton Wanderers Football Club, Super League's Widnes Vikings and Scotland Rugby League. My degree gave me an understanding of what is needed for athletes to perform at the highest level and I was able to put theories into practice with lots of hands-on practical opportunities. The university and lecturers go out of their way to provide you with contacts and opportunities in the workplace. They notified me about relevant training courses and work experience opportunities at the clubs they were involved with. Through university I have also learnt to embrace challenges with a 'can-do' attitude." Amazing experiences that will set you apart from the competition. Get first-hand clinical experience by working on our cardiac and stroke rehabilitation programmes, delivered on behalf of the NHS. This course is endorsed by the British Association of Sport and Exercise Sciences. Make the most of our industry links on, placement and in the classroom. Neil Grieg, Head of Medical for Brentford FC, was recently a guest speaker. Our exceptional sports facilities are about to get even better. 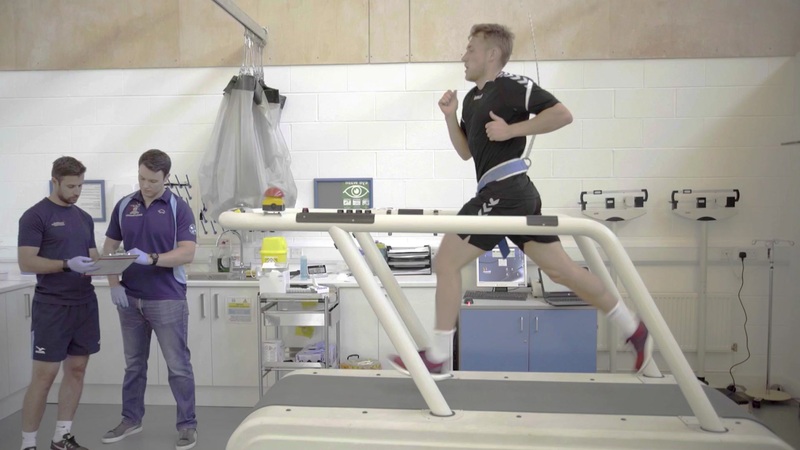 Get the practical skills you need to work in high performance sport or in clinical settings in our modern facilities, complete with research-standard equipment. Our specialist laboratories enable our students to work in an environmental chamber capable of recreating conditions faced by climbers of Everest, or adventure runners in the Sahara. Students are able to use ultrasound equipment to produce images of internal organs, and in our biomechanics laboratory we have 3D imaging equipment that allows analysis of sporting movements. In addition to our sports hall, gym and highly advanced strength and conditioning suite, from the end of 2018, new sports facilities will be available on campus. These will include an international-standard sports hall with arena seating, international-standard 3G pitches, dedicated pitches for football and rugby, and a new cricket pavilion. "My interests lie in paediatric sport and exercise, with an emphasis on injury prevention. Predominantly I've worked with football clubs, to identify injury risk in academy players and provide advice on recovery strategies and screening techniques. We've been working with Athletic Bilbao for a number of years; last year they approached us to look at an increase in injuries in their youth academy players, so we went for a week to do testing. We've also started a project with the England and Wales Cricket Board looking at back injuries in youth fast bowlers. For every project we'll always put forward as many students as we can so they get a practical taste of the professional world." With a great future plan and career team, see how the University of Gloucestershire supported Shona in achieving her own personal goals. Understand the science of human performance in sport and exercise. The degree offers flexibility with module choices and the opportunity to pursue one or a mix of three specialist pathways; sports performance, exercise and health and nutrition. You’ll learn from a team of practising professionals, either accredited by the British Association of Sport and Exercise Sciences (BASES), chartered with the British Psychological Society (BPS) or registered with the Health and Care Professions Council (HCPC). 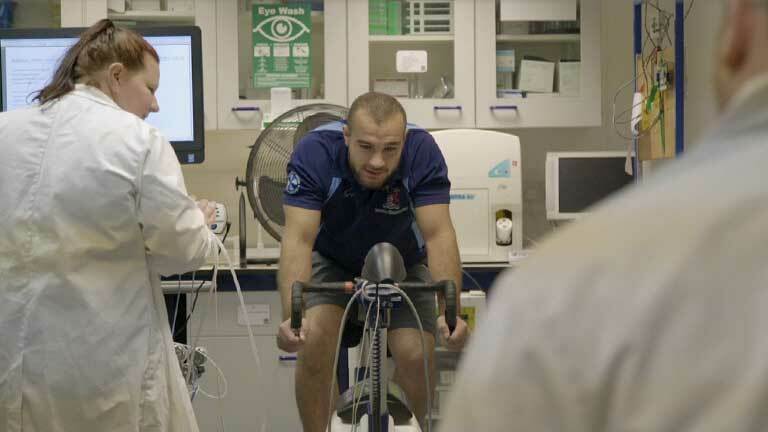 They are at the forefront of global research, with 71% of our sport and exercise research achieving internationally excellent or world-leading in the REF 2014. Students develop skills through placements with professional teams and individuals undertaking challenging outdoor expeditions. They support training phases by measuring VO2max and lactate threshold testing, and work with coaches and athletes to individualise training programmes for maximum performance. Students could also experience clinical work placements or work as part of cardiac rehabilitation programmes. In these placements they would work in the community to support improved health and disease prevention programmes. This is a growing employment area. All three pathways include the study of biomechanics, physiology and psychology. Key themes include exploring the body’s physiological adaptation to exercise, understanding the mechanics of movement and how they influence performance, and examining the psychological aspects of performance and health. You’ll develop advanced skills in scientific research methods, undertaking a research project in your final year in an area that interests you. You’ll learn in fully equipped sports science, physiology and biomechanics labs and suites – frequently used by professional teams and athletes – including an environmental chamber, CV exercise stations, online CPX gas analysis, eye-tracking technology, hematology lab, lung function and spirometry equipment. You can see these facilities at our open day. Get Sport and Exercise Sciences course updates and hear more about studying with us. Interactive lectures, seminars, tutorials, practical sessions and e-learning materials make up the course. Your assignments may include coursework, presentations, case studies, laboratory work, group debates and exams. Gain industry experience through a work placement. Students have worked with organisations such as Gloucestershire County Cricket Club, Bristol Rugby, Swindon Town Football Club and British Association of Cardiovascular Prevention and Rehabilitation. They have also undertaken laboratory and research roles across university departments. Fill in the form below and we'll be in touch with Sport and Exercise Sciences updates, upcoming events and everything you need to know about university life.